Google Billboards? What’s that you say? Yes, it is true. Google understands the reality of billboards. They work in the real world and so it goes, they might work in the digital world. We aren’t talking about ads or pop ups. We’re talking about strategically placed pins on Google Maps that will highlight nearby businesses regardless of your search term. The ads will be called “promoted pins.” They will pinpoint restaurants, clubs, entertainment venues and other merchants located along your route or in the area you’re looking at. I believe they will also show up along your route in the typed areas. This is the first time Google has inserted the equivalent of a digital billboard into the directions map itself. Maps app from Waze seems to do this for their map service but they don’t have the reach or clout as Google Maps. 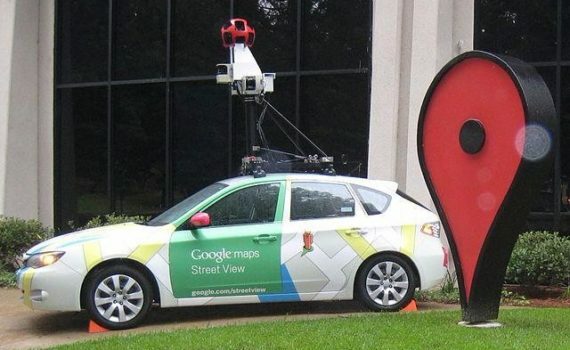 They say that Google Maps has more than 1 billion users worldwide, and that’s a lot of weight behind the ad program. “Google will tailor the new ads to your interests based on what it’s learned from past search requests and other activities on its services. Google thinks that the increase of mobile phones and GPS derived map directions is the perfect way to get people going where they want to go, and how to get what they want along the way.